In a tight race for best picture, the harrowing slave drama tops Sandra Bullock’s space epic, as Colin Covert reports for The Star Tribune. For the complete report follow the link below. 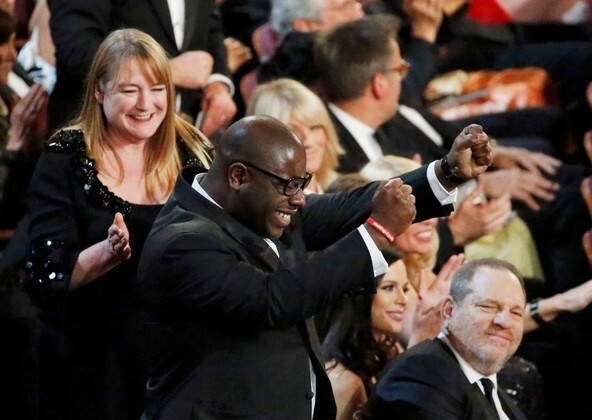 In the days leading up to the ceremony at the Dolby Theatre in Los Angeles, it was reported that some Oscar voters could not bring themselves to watch the film, which vividly dramatized the horror of families torn apart, daily humiliation and savage punishment. Oddsmakers had predicted a narrow win for the virtuosic sci-fi blockbuster “Gravity” as the result of the academy’s preferential voting system, which can deliver a win to a film with a broad consensus of first- and second-place votes. The two films made history by tying in the crucial Producers Guild of America race. “Slave” also received Oscars for best supporting actress Lupita Nyong’o, and John Ridley’s screenplay adaptation of Solomon Northup’s memoir of captivity.